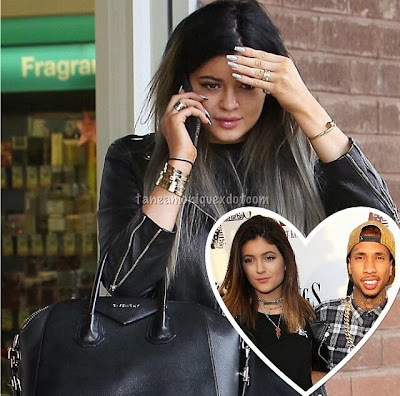 Kylie and Tyga engaged? Earlier today Kylie Jenner, 17 was spotted heading to CVS in Calabasas sporting a diamond on her left ring finger. Seems as if the youngest from the Kardashian sister clan wanted the jewels to be on display. We won't be surprised if she really is being it took both her big sissy to marry within a short span of time (humphries/odom).